Pet Cemeteries: Who Runs Them and Why? Home > Pet Services > Pet Cemeteries: Who Runs Them and Why? Each time we move house, Poppy moves with us. The fact that she was a much-loved, 19-year-old, chestnut mare that had to be put down nine years ago makes no difference, because we have Poppy’s ashes. Anyone who has ever lost a beloved pet can understand how important it is to have the chance to say goodbye properly. To have something personal, by which to remember them, and a place to visit as we grieve for them helps the healing process. Pets are a huge part of our lives. It seems only right then that, in death, they receive the peace and dignity we owe them. After all, we try to give them our best during their lives, why would we give them less when they pass away? 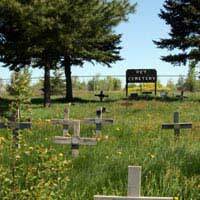 In February 1993, the Association of Private Pet Cemeteries and Crematoriums was founded. One of the main aims of this association is to ensure that pet-owners are receiving the services they pay for. Too often bereaved pet owners entrust the bodies of their animals with businesses that fail to deliver on their promises. For example, pets that were supposedly cremated on their own were not: instead of being the ashes of one treasured companion, too often the ashes returned to owners were a mixture of several different pets. Far from the individual cremation promised (and paid for) unscrupulous businesses were incinerating the bodies of pets en masse. For the distressed families of pets that have shared their lives, there is a huge difference between cynical, indifferent, waste disposal and a caring, commemorative, cremation. APPCC is regulated by Animal By-Product regulations, Environmental Permitting and Waste Management Licensing. The Environment Agency and DEFRA has helped those who run genuine pet bereavement facilities. Pet undertakers, coffins, urns, scatter pouches, memorial plaques, headstones, anniversary flowers: the list is endless. In the hands of professionals at least, the demise of a family pet is treated with respect and sympathy. Yes, it is a business, but when run by genuine people who love animals, the loss felt by each and every family can be eased. Personal choice and involvement in the difficult period before a pet’s cremation helps families as they come to terms with the loss of their pet. The choice of both individual burials and individual cremations permits owners to have their pet buried in a distinct plot (which they may visit) or to keep their pet’s ashes in a container of their choice at home. Alternatively, ashes may be buried, dispersed, or placed in a columbarian niche within the cemetery grounds. Some wish to see their pet prior to cremation or burial. Pet cemeteries may offer this service: but whilst it is one thing to satisfy yourself that your pet is being cremated as an individual (if that is your wish) it is not wise to be there when it happens. Whether your pet dies peacefully at home, or is released from pain under veterinary supervision elsewhere, APPCC members offer a personal collection service. Double check that any cremation service offered through your vet is an authentic APPCC member. If a vet sells a service to you, that vet is responsible to trading standards if it later transpires that the service was misrepresented. Bogus pet cemetery operatives may woo veterinary practices with lower prices. If the price is lower, it’s for a reason! There have been disturbing cases of services not matching descriptions. One report told that the bodies of pet dogs were found dumped in a field although one owner had, allegedly, already had his dog’s ‘ashes’ returned to him. The business responsible was not a member of APPCC, but was called a Pet Cemetery and Crematorium. Check that your trust is not abused. That’s the only sort of person I will entrust my wonderful dogs to when their time comes. Pet Shows: What Jobs Are Available?